Pumpkin Spice Golden Milk (Turmeric Milk) is the most delicious and nutrient-dense vegan milk drink you’ll ever taste! It’s the perfect night cap! 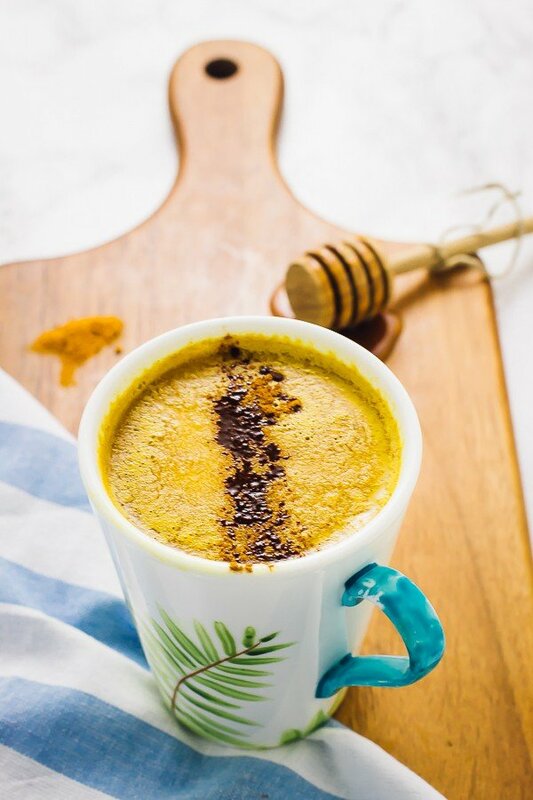 If this is the first time you’re hearing about golden milk aka turmeric milk aka turmeric latte, you’re in for a great surprise! Friends, welcome to your new favourite nutrition-rich night cap drink. If you haven’t tried it, you might be thinking “turmeric…in a sweet drink? !” well make no mistake, it works perfectly here and has been for thousands of years dating back to Asia. 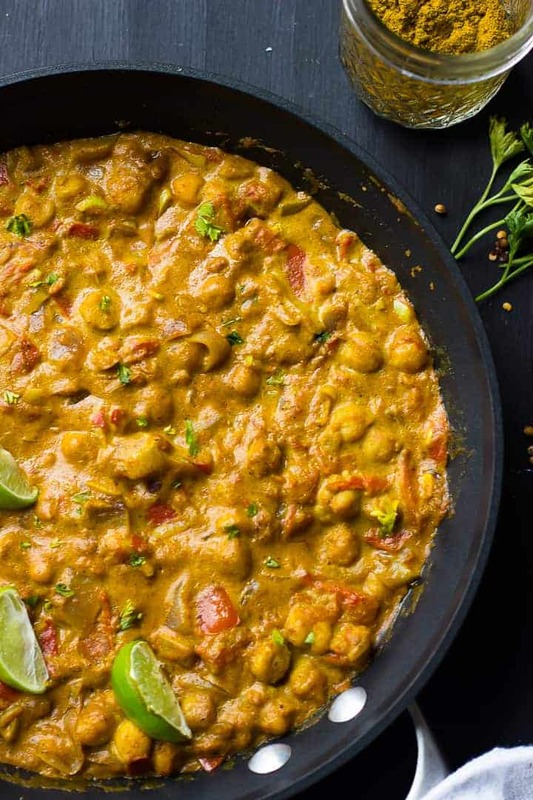 Need more convincing to check it out plus the benefits of turmeric? While shooting this recipe, my husband gave it a taste, declaring “this is the BEST milk drink ever! It’s so good!”. Say no more. WHAT IS TURMERIC MILK/GOLDEN MILK? Mini history on turmeric milk before we get into the delicious pumpkin spice-ness I’ve added to it. Like mentioned above, it’s been used in Asia for centuries, and is a nutrition-packed, anti-oxidant rich, delicious hot milk drink that you’ll not only love but is really great for you. Turmeric itself is loaded with antioxidants which prove very helpful for any inflammation in the body (the main active ingredient is called curcumin). I actually also use turmeric in my face mask, which made an INSANE difference. The addition of honey, coconut oil and cinnamon not only contribute to these properties, but add healthy fats to the drink. It really helps to boost your immunity and improve digestion, and does all of this while tasting delicious. P.S. you can make this a pumpkin spice turmeric coconut milk. Just coconut milk instead of almond milk if you’d prefer. Speaking of tasting delicious, there’s nothing disappointing about this flavour. I like to strain mine afterwards in a small sieve which helps to blend the flavours together even more. The pumpkin spice flavours that I added gives it a delicious fall flavour perfect for your new nightly routine for the upcoming fall holiday. Can you tell I’m excited for fall?! If you try this Pumpkin Spice Golden Milk (Turmeric Milk) please let me know in the comment section below, or tag me on instagram with the hashtag #jessicainthekitchen! For more exclusive recipes follow me on Instagram AND on Snapchat: jessinkitchen. Add all the ingredients to a pot, stir and bring to a boil. Reduce to a simmer for about 2 minutes, stirring together occasionally. Remove pot from stove whisk together. If you'd like extra froth on top, you can use an immersion blender. If using freshly grated ginger, you should strain, otherwise straining through a mini sieve is optional. Pour into a mug, garnish with a bit of cinnamon and enjoy! You can substitute coconut milk, cashew milk, or even regular milk if you aren’t vegan. 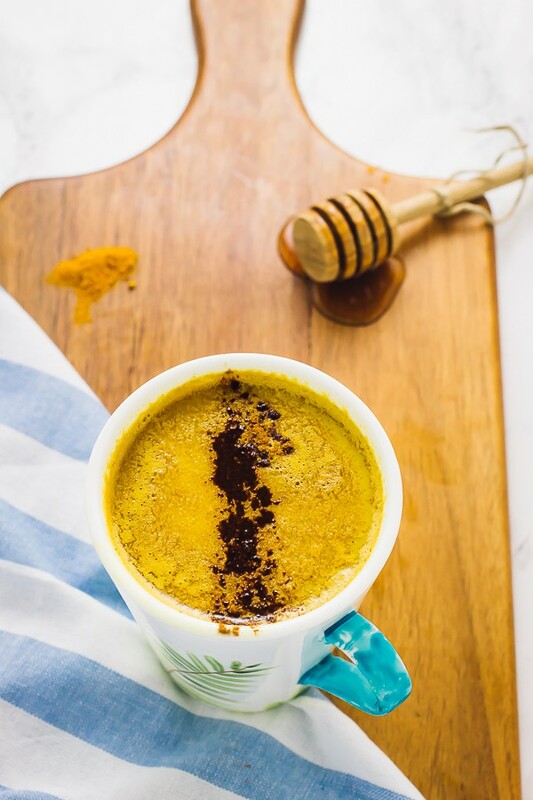 I love turmeric milk….so GOOD for us. Love your cute mug too. Thanks SO much Angie!! My friend got it for me. Yes, it’s SO good it settles any bad symptoms I’m having! I don’t see any directions. 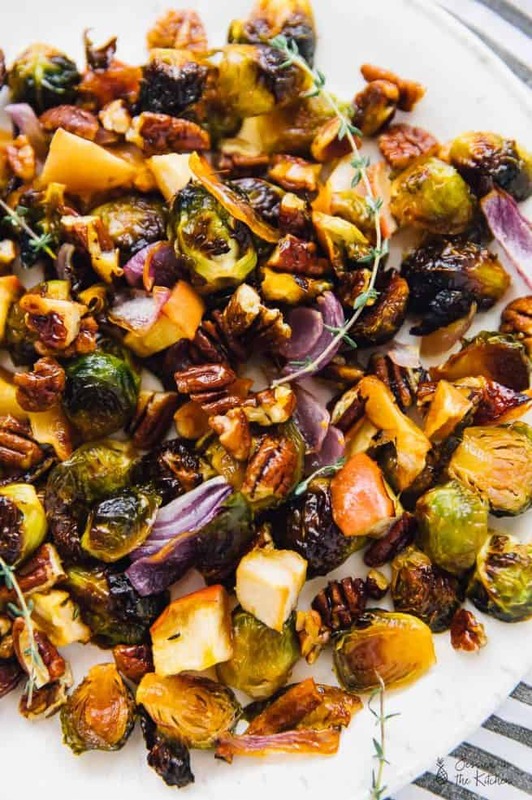 Do you put all ingredients at the same time in a pan and heat them up? Sorry it wasn’t showing up – thanks for pointing that out! It’s visible now, but yes, just add them all together, mix, boil, then simmer, strain (optional) and enjoy! How much ginger? 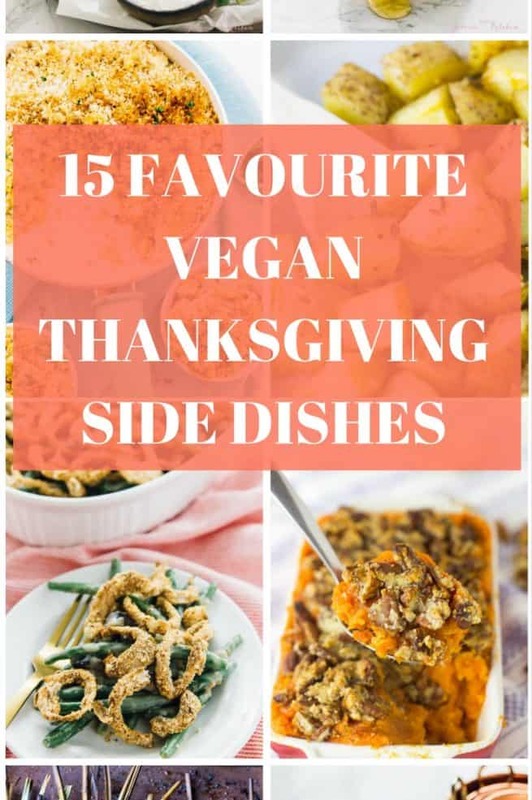 Grated, slices, minced? The ginger amount is up to you. I sometimes use 1/4 teaspoon ground ginger, or I use grate a bit over the turmeric milk when it’s in the pot. I didn’t put a specific amount because are so specific about ginger so just use how much you want! If you use fresh ginger, you may want to strain it out before pouring into your mug. That’s SO true! Thanks Alma! Awesome, I need to try this. Your page is so great! Can coconut milk be substituted for the almond milk? Due to allergies, we’re a nut-free household. Yes! You definitely can. You could even use regular milk if you drink regular milk. I’ll add those into the recipe description. Hope that helps! I’m so glad Caroline! Thanks so much for letting me know 🙂 and you’re so welcome! I tried this tonight. I didn’t have pumpkin spice but had some apple pie spice so I used that instead. I was feeling blah all evening and this reminded me that I’ll need to drink a tonic. It was delicious! Thank you!! YUMMY! I feel better already ! Yay! So happy to hear!! You’re so welcome and thanks for your comment! 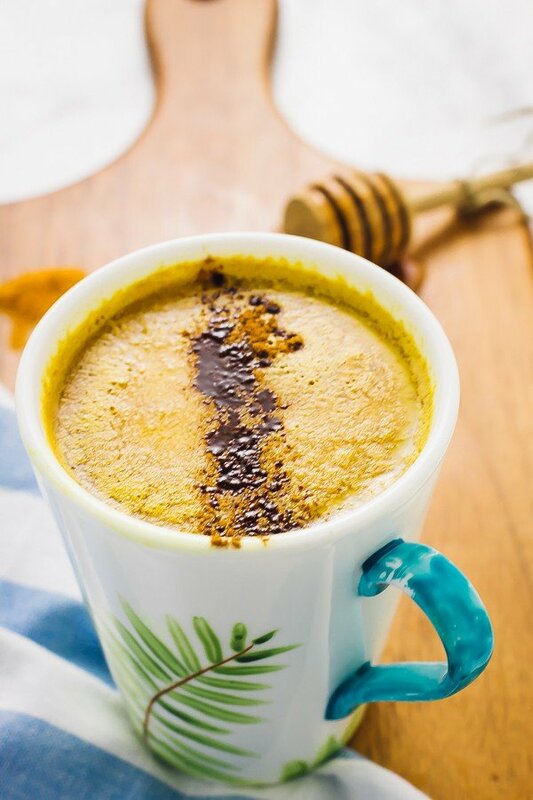 Just found your recipe for pumpkin pie turmeric latte and love it !! Day 4 of making them so good !! Thanks for sharing ! Aww I’m so happy to hear that Melissa!! You’re so welcome!